having a cleaner and healthier work environment. Depending on the type of business you run, you may also have a legal responsibility to manage the effects of your business on the environment. This includes things such as electrical waste, business waste, whether your business needs an environmental permit etc. Find out more at the Government website here. look at water saving tips. If you want to go really green and invest in new technologies, for example, which will help the environment, speak to your local council about the different types of grants available. Do note that grants can take time to get approved and can involve a lot of paperwork (which isn’t particularly eco-friendly!). Another option could be to use an online small business loan provider. There are several of these operating online – “Everline” being one provider with a good track record of lending to young businesses. Because these types of providers work mainly online, less paper is used (saving trees) and there are no postage costs (so no carbon footprint). 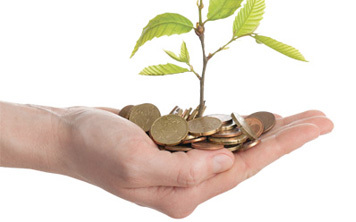 It can be a quick way to get business finance – you’ll typically get a decision in one working day – so if you are keen to start implementing green initiatives in your business, this may be a solution. Going green can be as small or as big as you like, whether you start small and implement double-sided printing, which can save lots of money over the course of a year, or ramping it up so that you invest in green technologies.